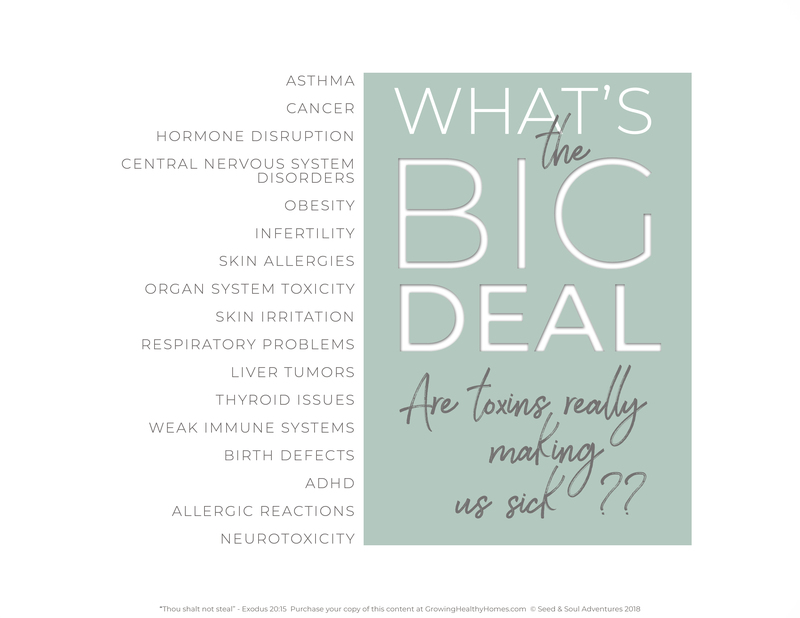 So what’s the big deal with toxins? Are they really making us sick? It’s easy to see why so many people are skeptical about the detrimental long-term (and even short-term) effects that toxins have on our health. After all, if these ingredients are truly detrimental to our health, how do they end up in our commonly used products? It’s solid logic until you dig a little deeper. I hope that the information covered in this class is eye opening, but more than anything I hope you’re inspired to take it upon yourself to research what’s in your home and start making informed decisions. It’s a shame the standards for what’s allowed in our products is so low, but in the end we choose what we expose ourselves to in our homes. Put your detective hat on – today is the day you say “NO MORE”! Dryer Sheets are the #1 toxic product in homes today? Febreze contains over 80 known toxic chemicals? Most candles are made with petroleum based wax? Yep, the same petroleum used to make gasoline! Then they add fake fragrance which includes synthetics, which are cancerous! Bioaccumulation is the process by which our bodies accumulate toxins faster than they can eliminate them. Many chemicals are deemed safe in small quantities or for single uses, but these can be harmful over time and with consistent use. The majority of products contain not one, but an abundance of toxic chemicals that are absorbed through the skin, inhaled into the lungs, etc. These chemicals can often be found in our bodies within seconds of exposure and are linked to health issues such as asthma, allergies, cancer, reproductive issues, hormone disruption, and neurotoxicity. A 2010 study published in the Journal of Environmental Health found that women who used a combination of cleaning products in their homes are up to 110% more likely to develop breast cancer than those who rarely used them. New York State Department of Health. (2013, October). “What You Know Can Help You: An Introduction to Toxic Substances”. Retrieved from: https://www.health.ny.gov/environmental/chemicals/toxic_substances.htm. Not only have chemicals in cleaning products been linked to serious health issues, but many have not been thoroughly tested for their impact our health, nor are the effects of chemical combinations often considered. Often, the synergistic effects of these combinations are worse than the individual chemicals alone. Most conventional cleaning products are deceptive because manufacturers aren’t required to specify ingredients. Basically we don’t know all of the toxic chemicals to which we are exposing ourselves, our families, and our pets when we clean our homes, wash our hair, launder our clothes . . . the list goes on. Many of the toxic chemicals you’ll be learning about are endocrine disruptors – but what does that mean? Endocrine disruptors are chemical compounds that interfere with healthy hormone production. This includes interfering with normal production, imitating and modifying natural hormones, and upsetting hormone signaling and proper binding. Scary stuff! Why do hormones matter? In addition to puberty, mood, and fertility, balanced hormones affect our overall health and regulate our heart rate, metabolism, mental and emotional wellness, and sleep quality. Hormones are the chemical messengers that communicate to our cells throughout our bodies and are a crucial factor for health and vitality. Young Living has many amazing products to support hormone health, but adding GOOD to your routine only goes so far if you continue to expose yourself to the bad things that cause damage. Ditching toxins is one of the most important steps in your wellness journey! I know this probably has your brain on overload right about now, so I’m going to let this sink in so you can digest this information. Check back tomorrow, when we will talk about GREENWASHING! I look forward to your time again tomorrow! Yesterday, I shared with you what this series is about and how I came to find Young Living. 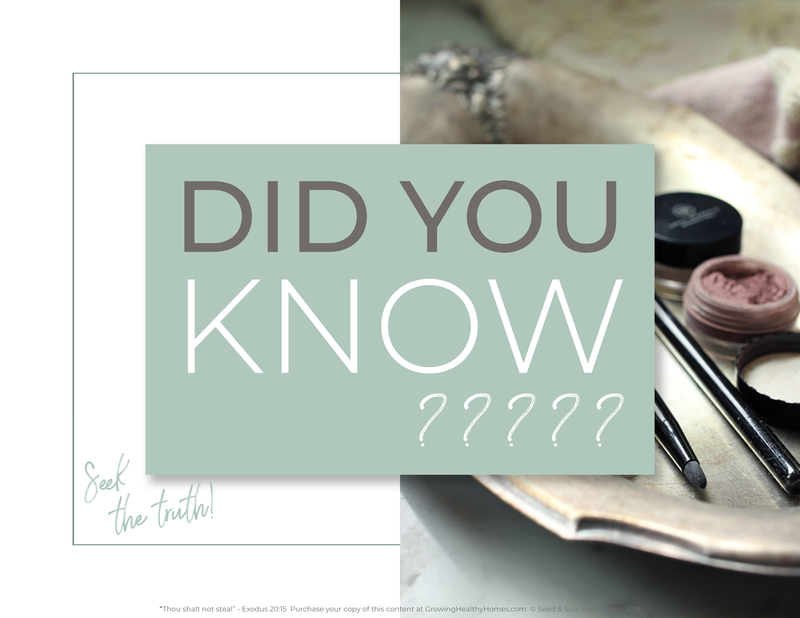 Today, I’d like to tell you why I am so passionate about these amazing natural products and why sticking with a company that has such high standards is so important to me. The average modern day household uses hundreds of toxic chemicals each day – a large percentage of them before you even walk out the door in the morning! These toxic chemicals are hidden away in the ingredients of our all purpose cleaners, laundry products, shampoo, conditioner, air fresheners, body wash, facial cleansers, hand soaps, moisturizers, etc. So many hidden toxic ingredients, and most of them are things we use daily! New evidence that directly connects our daily toxin exposures in common household products to so many health concerns is being gathered all the time. The fact of the matter is that modern families are in the midst of a health crisis, and our toxic concoctions are contributing to the problem – we need to open our eyes! Now that I am aware, I am committed to making better choices for my family and myself. We are worth it! Young Living™ is nearly a one-stop-shop when it comes to the lifestyle changes that we are implementing. Switching to Young Living’s high-quality, long-lasting, safe products has been a wonderful experience! I love that these important swaps are made easy by the fact that I don’t have to sacrifice using great products that we love. This peace of mind is absolutely priceless. Step 1: Identify – the harmful products being used in your home. Be familiar with common “red flag” ingredients, and learn to read labels. Step 2: Replace – these toxic products with safe and effective alternatives from a source you trust. 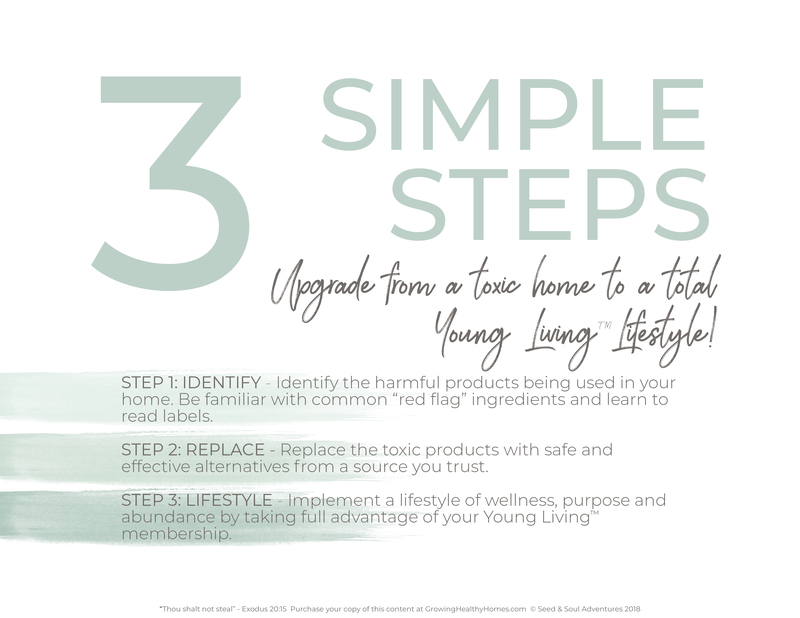 Step 3: Lifestyle – Take full advantage of your Young Living™ membership and implement a lifestyle of wellness, purpose, and abundance! Be sure to check back tomorrow and follow along as I will explain in great detail the importance of living a Toxic free Lifestyle! Have you heard enough already? Over the next two weeks, I will walk you through 3 simple steps that you can use to practically and affordably make your home a safer and healthier place to live! This class is free, fun, and I promise to share information with you that will blow your mind and inspire you to make some big changes. We’re all in this together, and I am here to guide you every step of the way! 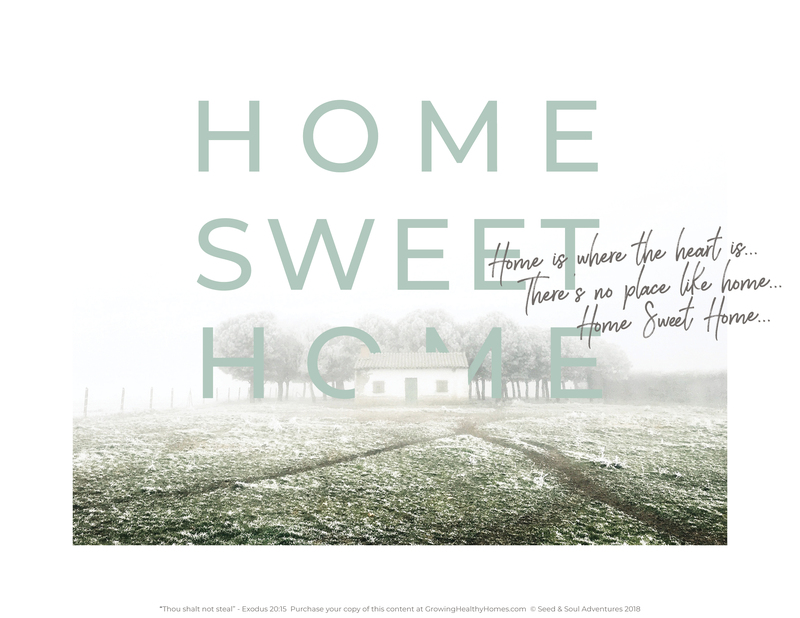 Home is where the heart is… there’s no place like home… home sweet home. Our home is a safe haven – a place for creating great memories, spending time with loved ones, and truly relaxing and being yourself. Everyone wants the best for their family, but have you ever considered the fact that items in your home could be making you sick? The average American home is filled with hidden toxins and familiar products that are actually poisonous and harmful. Whether you’re aware of them or not, these hidden toxins are reeking havoc on the wellness of you and your loved ones. It’s sobering to realize the very real effects these misleading products have on our health, but it’s empowering to use this knowledge and take control! 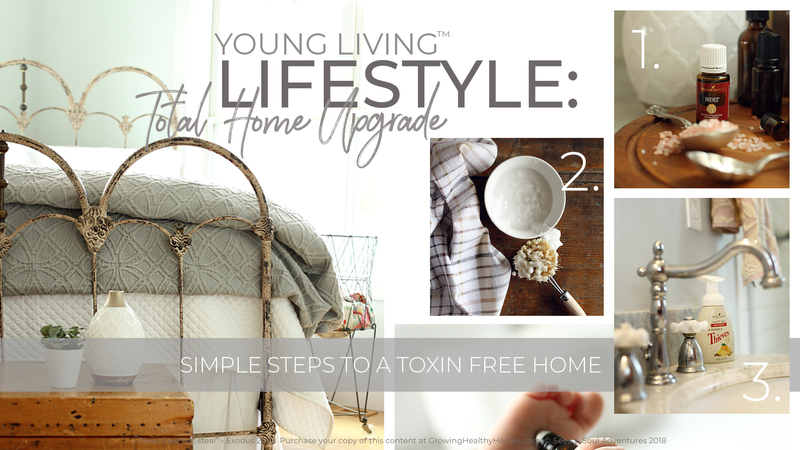 In tonight’s class, we’re going to outline 3 simple steps to upgrading from a toxic home to a total Young Living™ Lifestyle! Be sure to Follow so you can follow along in this Blog Series as I will introduce to you these 3 Simple Steps! Why Did I choose this Lifestyle? If you’ve been following me, you already know. If you just stumbled upon my blog this morning, you might be surprised! I was 53 years old, when I had a heart attack all from stress. April 27th will be my third anniversary since the day my life changed. Stress has always been a part of my life and I thought I could manage it pretty well. I was always able to hold things together in the moment, but when things started to settle, that’s when my stress really started to build. April 27th, 2016 was a prime example of how I handled my stress. Except, on this day, my body had said, or God said, ‘enough is enough’! It took me six long months to recover from Broken Heart Syndrome. I suffered a cardiac arrest, went through an angiogram procedure to check for blockages, and even had a pump inserted to my heart to relieve the pressure on my heart where the pump did the work for my heart. All of this lead to even more stress as you can imagine! I then had to deal with the stress of potentially dying, losing my family, separation anxiety, etc…..
Not long into my recovery is when I was introduced to essential oils. At first, it was some cheap oils and a diffuser from Amazon which I had no clue of how or why to use them. So I simply started diffusing as the instructions said. It wasn’t long after than that a family member came to visit, saw the oils, and told me to throw them away immediately. Why? essential oils are good for you right!? Well, she went on to inform me that all oils are not the same and that quality matters and is very important! 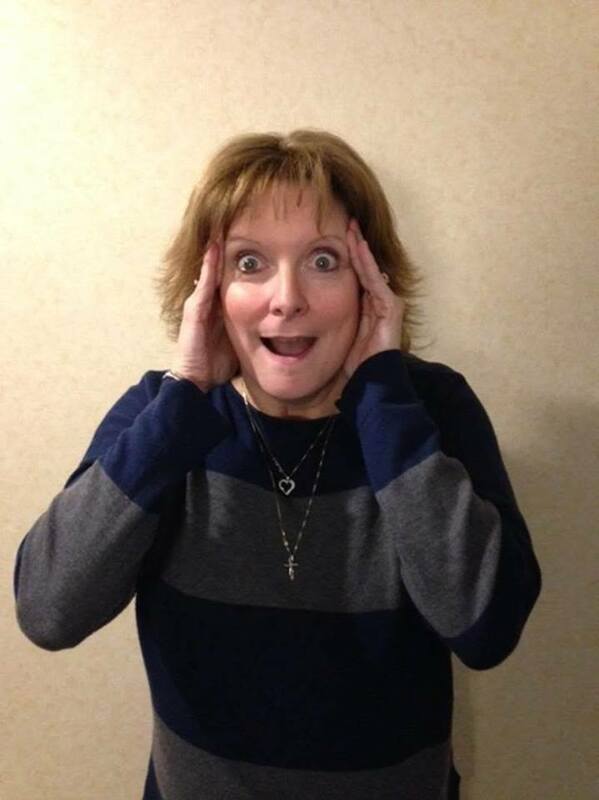 She began to tell me about Young Living Essential Oils, and well here I am about to tell you the same thing! Young Living has changed my life, helped me remove all of the toxins and chemicals that we breathe in everyday not knowing how they are damaging our bodies. I learned how to use essential oils to help me support my anxieties and stress levels. I leared how to support all of my body systems and feel so much better for it! I feel like a new person! Please join and follow along as I share with you all of the amazingness that Young Living has to offer! Let me help you take the stress out of your life! Let me help you remove the toxins and harsh chemicals from your home! Let me help you make a Lifestyle Change that will thank me for! Several people have been doing the picture challenge, and as I was looking back at some pictures, I realized something. Do you ever look back at a picture and remember exactly how you were feeling at the time? Sometimes smiles on the outside really don’t match the reality of what was going on inside. I was a little overwhelmed with emotions while I was looking back at this first picture taken 11 days after my heart attack in April 2016. How tired, weak, scared, and anxious I was still feeling knowing that I was on the mend. I thought I was stressed before the heart attack, but afterwards was much worse! I suffered with separation anxiety at that point and every little twinge, extra heart beat, or rise in blood pressure only made it worse. Now, I look at the love in my mother’s eyes and the care and attention I received from her, my husband, children, family and friends and realize just how blessed I am! It was their love that got me through the worse days of my life! But, it was God who I owe all the Glory, because of His love for me, I was given a second chance. I look at the second picture from this Christmas and realize just how much He has changed me, and how much more he has given me. Change is difficult, but we all go through storms in our lives and its during those storms that we grow into the people God created us to be. One of the biggest contributors to my growth besides God is the fact that when I was ready to get back to working again, He brought Young Living into my life. He restored my spirit, and gave me a strong desire to help other people learn about stress, anxiety, and depression. That was always my dream after my mom’s miracle back in 1980, but now He gave me my own story! Young Living helped me deal with my own stress and anxiety issues. The first day I received my Premium Starter Kit, I began diffusing Lavendar, rolling Stress Away all over my wrists, behind my neck and ears, and rolling Frankincense up my spine for overall wellness (so powerful you need to research). I even started using the Lemon in my water to help with detoxing, and Thieves Vitality to help boost my immune system. Eventually, I started reaching out to others oils outside of the kit and truly fell in love with all of their products. Having gone through my recovery, I still always lean towards the ‘Feelings Kit’ because they support our emotions and spiritual grounding. I’ve come a long way and I couldn’t be happier. I now know my trigger points, and what to do to cope with my stressors and I owe it all to God, Young Living, and the love of family and friends! You may have missed the Kit Sale, but I will always be here when you are ready to help yourself! Becoming a member of Young Living changed my life for only $160! And now, I have my own business, I’m healthier, happier, and removed all the toxins from my life. Not to mention, I have so many new amazing friends and a growing community! So reach out when you are ready to join me on this journey and amazing community with tons of education and support! www.believeinessentials.com My Member ID# 10708872 and please make sure you select Wholesale Membership so you receive the 24% Discount! You’ve Got 30 Second – What Do You Say? We all know how important it is to have our ‘WHY’ documented and drilled down so far that it almost makes us cry, right? It needs to really light a fire within us. It needs to keep us motivated to keep moving forward even when we can’t see the next step. If you don’t know your ‘WHY’ yet, I urge you to work on that. Keep asking yourself, ‘WHY’! Why do you want to do what you are doing? Why?, Why? And eventually, you will get to the root of your why! Once you know your why, picture yourself in an elevator with a stranger and you only have ten floors between you and your departure. The stranger greets you good morning, and asks you, “What do you do?” This is your chance to WOW them! Your elevator speech needs to be short (30 seconds short), to the point, and make them want to stay on the elevator so they can hear more or at least exchange contact info! So what do you think of my elevator speech, do you want to hear more and exchange information? Don’t Wait! Take Control Now! I can only imagine what life would be like if only I knew what I know now! How many times have we all said this? Let me help you because the time is NOW! Don’t Wait! I’m sure you’ve heard the scary stories about all the toxins in our lives these days. Do you know the average woman puts on over 300 toxins before she even leaves the house in the morning? It’s crazy, and don’t even get me started on all the chemicals and by-products that are in our foods, or the difference between organic, all-natural, therapeutic, etc. etc. It’s time we all do some research because we are killing ourselves slowly. I so wish I knew years ago what I know now! It could have changed things so much more for the better. My kids could have had a much healthier head start in life had I known what I know now! I have learned that there are better alternatives, we can live a toxin free life, and you know who taught me? That’s right Young Living! Essential oils support every system in our body, including our emotions, and spiritual grounding. These oils touch every cell within our body within twenty minutes! With Young Living essential oils you can use them, aromatically, topically, and even through ingestion! If there was ever a better time to become a Young Living Member, it is NOW! Essential Oils are on the rise big time. There are so many companies introducing essential oils into their products, but people it is so important for everyone to realize the importance of Quality essential oils. I’ve been a member of Young Living for almost the past two years and I have learned so much through my research and everything that their doctors and scientists and those Royal Crown Diamonds who have been around much longer than I have. Young Living is the founder when it comes to essential oils. Gary Young had over 30 years of experience in the field of essential oils and he and his wife founded Young Living almost 25 years ago. They will be celebrating 25 Years in Business next year and I am so excited to be a part of that team of builders sharing the love of what Gary and Mary created all those years ago! Young Living is the only company with the Seed-to-Seal guarantee that we are receiving the purest form of 100% Therapeutic Grade A Essential Oils and they stand behind that committment and reinforce how important quality is to them. The culture, vision, passion, and everything they have built eminates the love they put into Young Living and all of their members who join in their passion for sharing their own love of Young Living essential oils and natural plant-based products! It is important to note that true Grade A oils can’t be found at Walmart or other general stores for $5! It is critical that you learn to read your labels. Look for warning signs saying do not apply topically, do not ingest, call poison control, etc. These types of companies are able to price their essential oils at a more economical cost because they are adding carrier oils and synthetics (which are cancerous) to fill their bottles and cut costs. Young Living does not cut corners or quality for the sake of cost. Nothing is more important to Young Living than Quality! When it comes to giving back to their members, it is especially obvious this month just how much they give back. I have never seen so many promotions going on in one month before. The promos though, they aren’t all just from Young Living. The support that the members give each other is extradorinary too because everyone wants to help each other grow. It is the best MLM Company I have every worked for and am so very proud to say will be the last company I ever work with. I am now my own boss growing my own business thanks to Young Living! Don’t delay, get on the oily band wagon today! Start taking control of your own health and wellness. Start ditching the toxins from your life! And if you decide this is a great business opportunity for you too, I would love to support you and help grow your business! The Desert Mist (OR) Dew Drop Premium Starter Kits are only $160 and is the most popular way of becoming a Member! Then you upgrade your account by Modifying your order and joining the Monthly Reward Program (Essential Rewards) where you start receiving points towards free product and bonus products based on your spending habits. You have the ability to change your order and shipment date every month so you are not locked into the same thing. The minimum order is 50PV (roughly $50)! PLUS, if you decide you want to start sharing, the only investment is that initial $160, but to receive all of the commission owed to you, you would ONLY need to increase your Essential Rewards order to 100PV and that will never go up! Our top RCD Leaders are only required to place a 100PV Monthly Order too! Check out these Monthly Average Incomes! These numbers are REAL! The Income is Limitless! The Income is Residual! The Income is WILLABLE!!!! What are you waiting for? Let’s do this!